First Eu reception in Alaska. Laurence KL1X managed to get this Argo grab of G3LDO and DF6NM on the night of Jan2nd/3rd 2004. In amongst the drifting switch-mode PSU harmonic is a good "LDO" at "423" on the frequency scale. 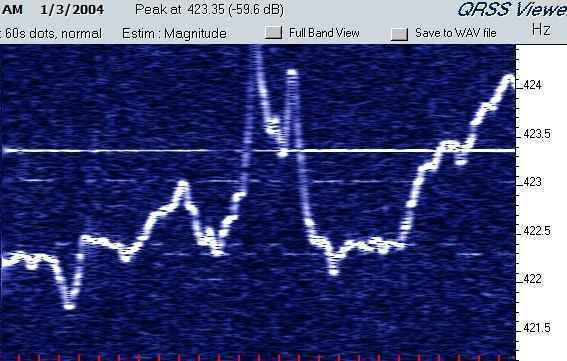 Marcus DF6NM's DFCW signal on "422.3/.4" is almost as strong.